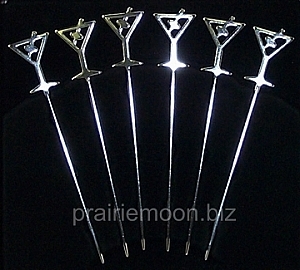 Serve the perfect martini with these high quality stainless steel martini picks. Their decorative art deco martini design, complete with olive, will be the talk of the party! This set of 6 come packaged in an attractive open window box.